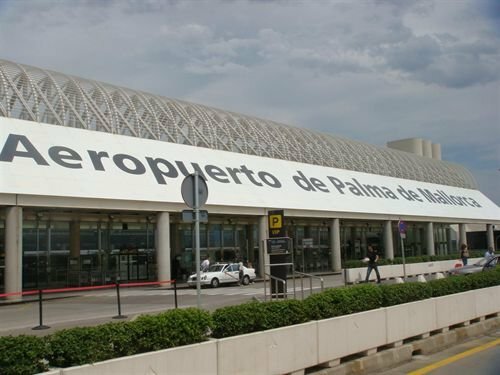 Palma de Mallorca Airport (PMI) is the third largest airport in Spain located around 8 km, or 5 miles, east of Palma. This airport handled over 22 million passengers in 2012 and most of them rented cars. Encouraged by the positive feedback we have received from our loyal customers at Alicante Airport, the Drivalia team has taken its own special brand of car rental service to this, the wonderful holiday island of Majorca. At Majorca Airport there are currently four terminals: Terminal A serves domestic flights while terminals B, C and D handle international flights. To collect your car hire, once you have collected any luggage from the Baggage Reclaim Area, and completed the Immigration and Customs formalities (when necessary), exit into the Arrivals Hall. Proceed to the nearest lift and go up to the second (2nd) floor. Once you are on the second floor, exit the terminal building and turn right. Walk along the pavement, following the direction of the traffic, and cross the first pedestrian crossing which is between the gangway to the car park and the end of the terminal building. The complimentary Drivalia Car Rental shuttle bus will meet you near the other side of that crossing. The shuttle service runs regularly throughout the day taking clients to and from the office and so if there is no bus on arrival don´t worry, it will be with you soon. Once aboard the driver will take you on a comfortable 6 minute ride to the Drivalia office which is conveniently situated approximately 2 miles or just over 3 kilometres away from the terminal building. If you have made other plans and do not require quality car hire from Drivalia, you can find more information about Palma de Mallorca Airport on the official Aena Aeropuertos website. All our car hire vehicles must be returned to the Drivalia Car Rental depot, unless otherwise agreed, and all Drivalia customers will be taken by complimentary shuttle bus back to the terminal building. Under normal circumstances, all Majorca Airport car hire returns and complimentary bus rides will take no longer than 20 minutes. We hate delays as much as you do, so we will try our best to process the returns in even less time. Palma de Mallorca Airport Departures. Drivalia Car Rental will leave customers directly in front of the check-in floor. 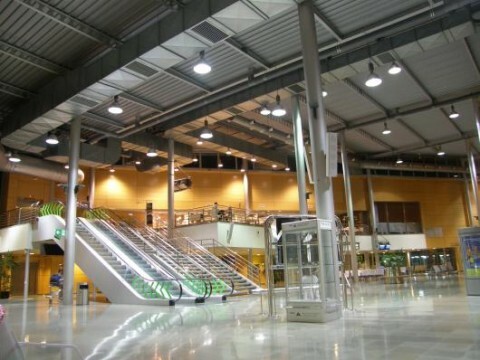 Airline offices, tour operators and travel agencies are located throughout this floor. Information about check-in desks for flights can be obtained from any of these offices, as well as from the information screens and the airport information desks. Departures traffic is split between the second and fourth floors. Check-in takes place on the second floor, while the fourth floor provides access to the various boarding modules (A, B, C and D). The check-in desks are situated, from left to right, according to zone (A, B, C, D, E, F) and number (1 to 204). Check the indicator boards for your check-in desk. Once you have your Boarding Pass proceed to Departures. You will of course have to pass security with its usual restrictions e.g. no liquids (there are bins for depositing unwanted bottles just before you enter). There are refreshment outlets both before and after Security. In the Departure lounge there is, of course, Duty Free shopping and a large range of places to have a drink or a bite to eat or even buy that souvenir you forgot! 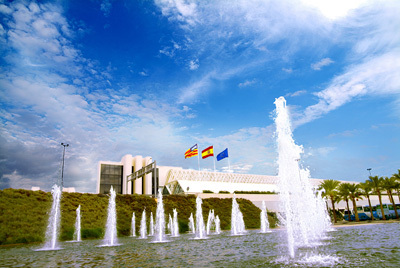 For further Airport information visit the Aena Aeropuertos website. If you have any tips for arriving and departing Majorca Airport we would like to hear from you on our Facebook page.